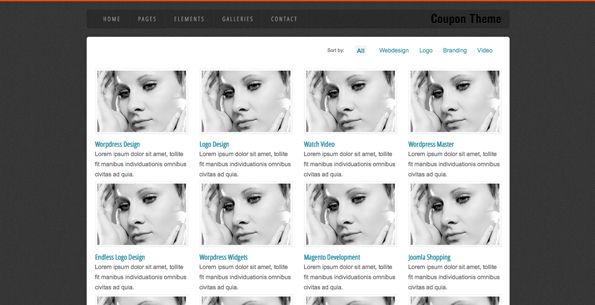 The Coupon Free Html5 Template has over 16 pages of different layouts and galleries. 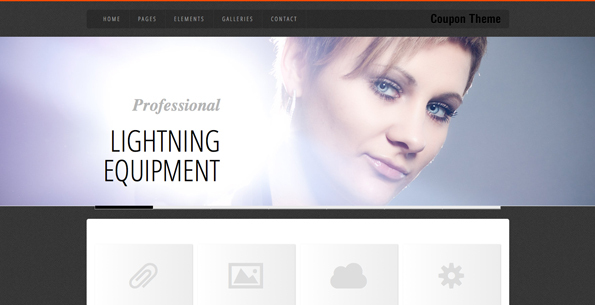 You’ll be blown away by the Coupon Free Html5 Template. If you don’t like the look of it, you could easily change it and adapt it to create your own website. You can preview the Coupon Free Html5 Template below. 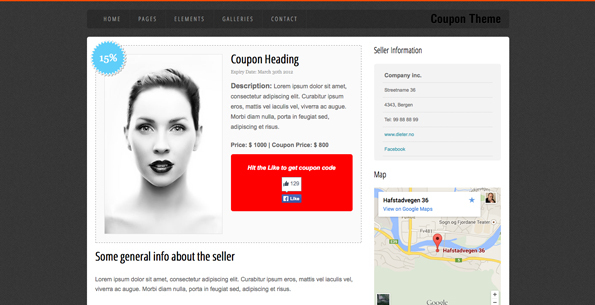 The coupon free HTML5 template is an awesome website template with a lot of great features. With over 16 different page layouts, you’re sure to find something that will fit your website. 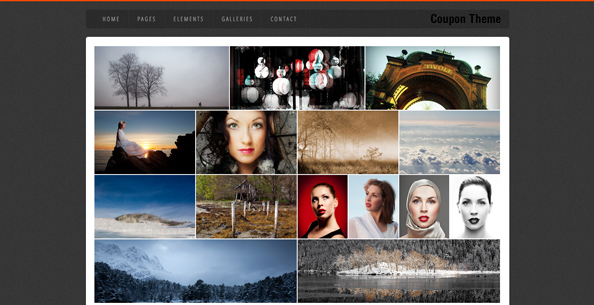 The homepage has a masonry layout for the images and are stacked and matched together in a brick style layout. Built as a coupon site, it shows you the percentage of the discount that you get from that coupon. 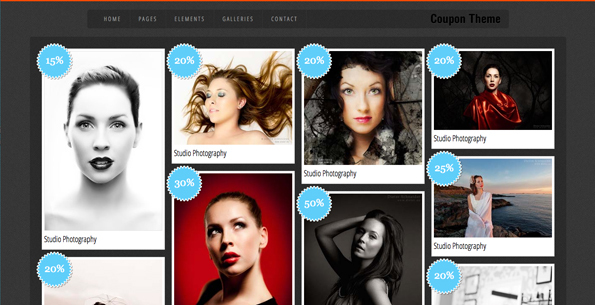 However, without the coupon discount this could be a great site for a photographer. The coupon free HTML5 template also features the Nivo slider, which is a responsive image slider with really nice transitions. 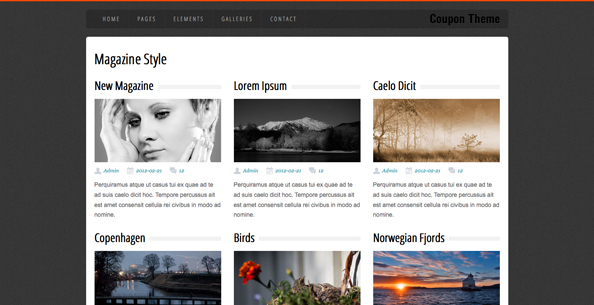 You can mix this with the different layout styles, just as you can with any other page. The coupon free HTML5 template also features the EI Slider which is a full width image slider that looks fantastic. The transitions in this slider are really smooth and can feature text as well. The text can be animated, which is an excellent feature. 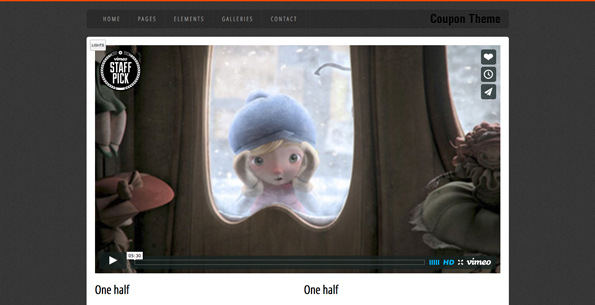 Underneath, you can feature an icon, a title and the subtitle, all as animated properties. 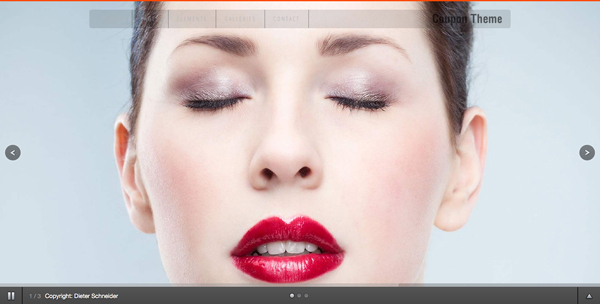 The next slider is a full screen gallery slider. This enables your images to fill out the entire browser. Each image transition smoothly from one to the next. There’s also the main coupon page, which has a large image, a well structured layout, a description of the item, the price the price with the coupon applied and social sharing buttons. There’s also room on the right-hand side for a sidebar where you can feature company contact info and anything else you can think of. The magazine style layout is a three column layout with the title at the top, the image underneath, the Meta data underneath the image, and a brief description. This would be great for a magazine style blog or a portfolio section where you want to go into detail about each project. The blog page shows off a featured image slider, a tabbed section on the right, and a smaller two column section for the rest of your blog posts. This includes the featured image, the excerpt and a button to continue reading that particular article. There’s even a section for advertisements in the right-hand column. At the bottom of the page, you’ll find a section with icons and different services that can be provided. These also have subtle transitions applied to them that are smooth and sophisticated. There are also five different gallery sections. 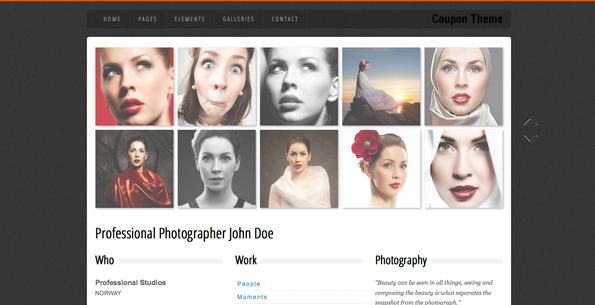 The Coupon free HTML5 template has a simple gallery with a five column photo gallery. Each image has a subtle highlight effect when you hover over it. When you click on the image, it opens up in a light box. 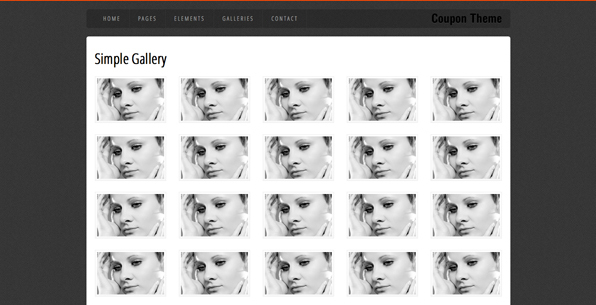 The next gallery is a four column gallery that is sortable. You can apply categories to different images and those categories are placed at the top. When you click one of those categories it filters out everything else but what’s in that category. This is a feature for enabling users to find exactly what they’re looking for and filter out what they’re not. The third gallery is called a fade scroll gallery. This is a unique feature that I have not seen on any other free website template. It is a five column layout with square images. There are up-and-down arrows on the right-hand side. When you click the down arrow it suddenly transitions into the next set of images. The slide effect isn’t abrupt but it transitions very smoothly. This is a very nice effect. There’s also a layout for a full width video. This allows you to place a very large video in your content area. This would be great for a promotional video for your business. The last gallery is a photo grid gallery. This image gallery puts all of your images in a row and sizes them so that they’re in a perfect grid. This matches portrait images together and landscape images together to fill the layout completely. This is an excellent effect. If you have a lot of photos, this is a great way to show off all of your work in a well structured design. When you hover over each image, you can have a title and a brief description, and even a link for them to read more about that particular project. 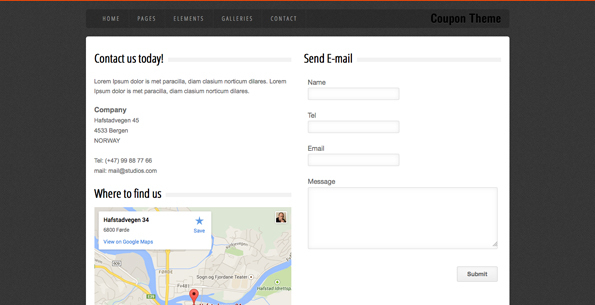 The last page of the coupon free HTML5 template is a contact form. This template features a fully working PHP form that enables visitors to send you an email inquiring more information. This page also includes your contact information, such as your telephone and your email address, as well is your physical address. There’s also a live Google map which will enable people to find your office. The page is set up in a simple two column layout. 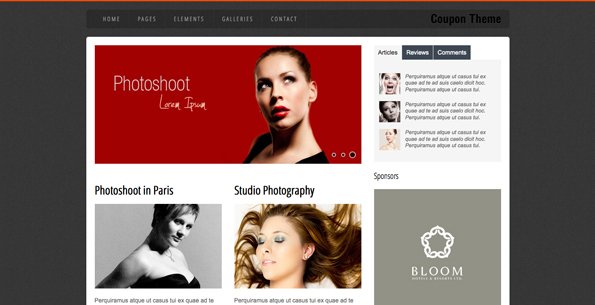 The Coupon free html5 template is one of the best free website templates that we found on the web. CSS Template Heaven has created an amazing website template that is absolutely free. It is packed with so many features that I can’t believe they are giving it away from nothing! In order to download the coupon free HTML5 template click the download link featured below. This entry was posted in Freebies, HTML5, Resources, Responsive Design and tagged freebies, icons, Responsive Design, templates. Bookmark the permalink.